This gorgeous round Three stranded silver wire Necklace with genuine Swarovski egg plant pearls 6mm with silver beads accented in beautiful Silver wire. 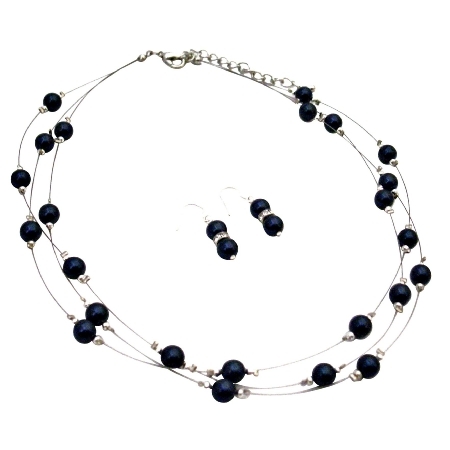 Our beaded Necklace features gorgeous with Swarovski pearls each has been hand-matched & hand strung the Necklace & sterling silver 92.5 french hook earrings. Material Used : Swarovski 6mm Dark Purple pearls(egg plant color) accented in silver plated wire. Earrings 6mm pearls with silver rondells spacer in genuine 92.5 Sterling french hook.